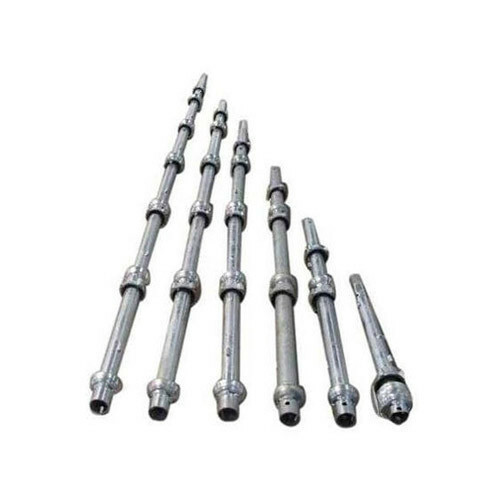 Established in the year 1978, we “Deesons Metal Industries” is engaged in manufacturing, and exporting of Scaffolding Jack, Industrial Couplers, Vertical Prop and many more. We procure only quality-approved raw material to manufacture our products. In addition to this, the utilization of cutting edge technology assists us to offer technically updated products to our customers. To maximize the gratification level of our numerous as well as esteemed customers we manufacture the entire range of products in various dimensions and other related specifications. Our whole range of consignments is widely known for its precise design, easy installation, customization, long durability, resistant to degradation and high corrosion resistance. Owing to these salient features, our products are widely used in the construction industry. We are supported by state-of-the-art infrastructure which is spreading over a large area of operation. This infrastructure is compartmentalized into various segments like marketing & sales, production, quality assurance, warehousing & packing, and logistics on the basis of division of labor. We have installed all the requisite machinery and tools in the fabrication unit which assure us to fulfill the bulk of orders within a stipulated period of time. Under the guidance of our mentor "Mr. Sahil Garg", we have gained huge expertise in our domain.